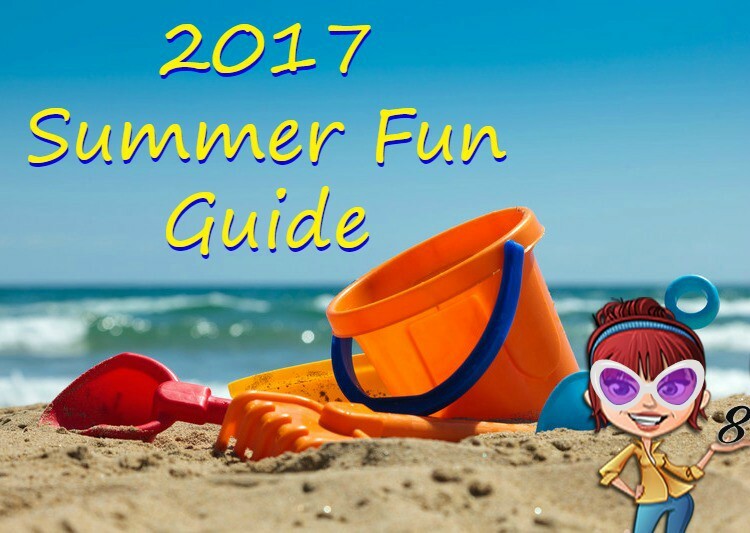 Schools out, warm weather has arrived, and it’s time to start having tons of summer fun! The first official day of summer is just two days away, June 21st. There’s no delaying the fun at this point, and why would you want to? 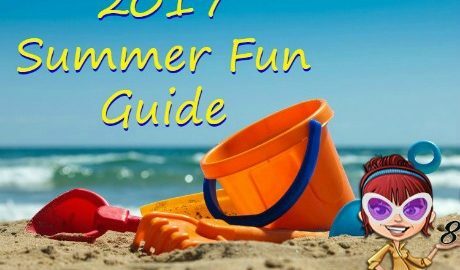 If you’re looking for ways to keep the kids entertained, indoors and outdoors, this year’s Summer Fun Guide has something (and probably more than one thing) you’ll love. And remember, you don’t always have to leave the house to have fun! Is traveling part of your summer fun plans? 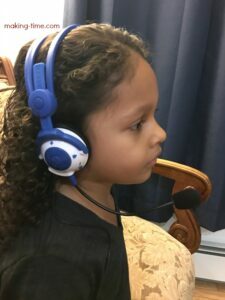 Keeping the kids occupied can be tricky on long road trips or plane rides, but with the help of some Bluetooth Wireless Stereo Headphones from Kidz Gear, the trip will be a little less stressful for everyone. 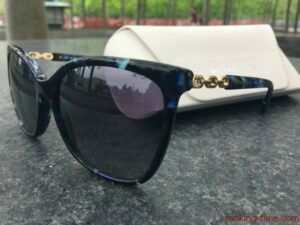 Visit the giveaway and enter to win a pair! Who doesn’t love bubbles? Summer fun will always be poppin’ with a Paw Patrol Bubble Blower from Little Kids! It’s minimal mess with maximum bubble blowing power. And no skills are required so it even great for the little ones. H2O Go! 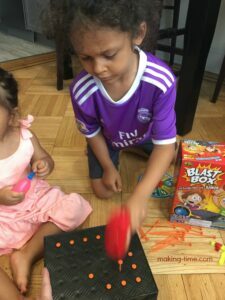 is a super fun way to keep the kids active and cool at the same time. Get them outdoors, away from the screen and enjoying summer the way it was meant to be enjoyed! From Spin Master, The Wobbly Worm Game is great for ages 3+ and can be played on any hard, flat surface. 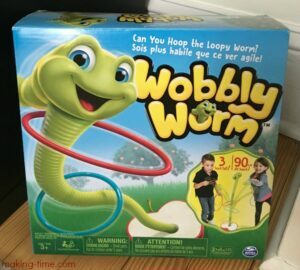 Kids try to toss and hoop the worm as he wiggles and wobbles uncontrollably, creating tons of giggles from them. It’s the perfect game for those rainy summer days! Each with a different personality and style, Shibajuku Girls are the perfect companion for your little fashionista. Click through to find out more and determine which Shibajuku Girl is a great fit for the fashionista in your life! If you’re going to have fun this summer, you have to make sure the kids have the right clothes because it’s going to be HOT. Shorts, t-shirts, tank tops, sandals and swimsuits are all must-have items. Check out Gymboree, Crazy 8 and Janie & Jack for all of your kids’ summer fashion thread needs. I’m talking cute AND affordable! If you really want to have a banging summer, the new Blast Box game from Zing is what you need. Use simple strategy to hammer nails into a box and avoid popping the unseen balloons underneath. Who will be the last one with a balloon in the Blast Box? Parents, this one is for you too. What would a Summer Fun Guide be without one of my all-time favorite games – Scoop Ball? I played this all the time in grade school and it’s just an all-around fun game, so go ahead and share some of your childhood fun with your kids! 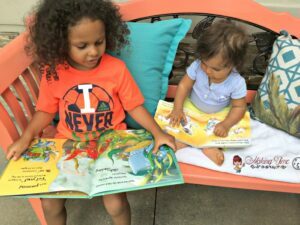 Not only are toys, games and experiences great for summer, but reading can be just as much fun. This is especially true when you receive new books and stories each month, tailored for the age of your child. That’s exactly what The Story Box offers! Take the fun outside and go for a spin on the Banzai Spin Out Water Slide. 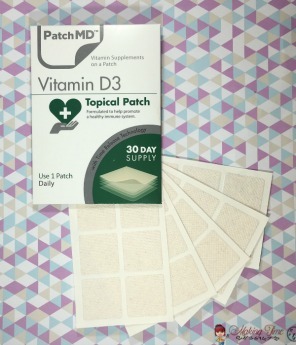 It’s a fun and easy way to catch some rays (and vitamin D), cool off and beat the summer heat. Mom and dad, I’ve got you covered too. If you’re heading outdoors for summer fun, you’ll want to protect your eyes. The sunglasses selection and service at Ottica is top notch. It’s truly function and fashion all in one. 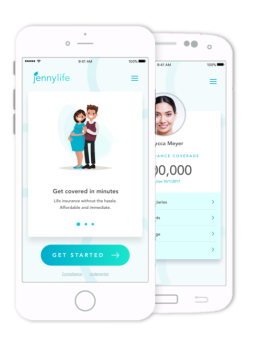 With all the summer fun you’ll be having, there’s a good chance you aren’t going to want to go grocery shopping, or even have the time to. But don’t worry! 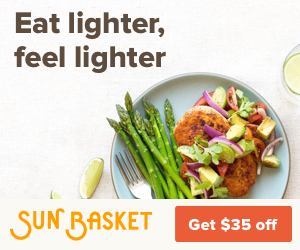 Sign up for Sun Basket and you can have healthy, easy to cook meals delivered right to your door. What kind of summer fun will your family be having? *Some links contained in this post include affiliate links, in which I will receive commission for your purchase. I did receive some of these items for review throughout the year, but others are items I have personally bought or would like to buy. My opinions are 100% my own and in no way influenced by the brands. Any claims or statistics should be confirmed with the brands. Please see this blog’s full policies and disclosure here. Our summer fun involves a family roadtrip to move me into my new apartment in Minnesota where I’m going to grad school. But there will be plenty of fun and games before then too, I’m sure! Love the sound of Sun Basket! My daughter would love a paw patrol bubble blower! She already has a Marshal sprinkler that we use. I love these games. My teenagers still love to play Scoop Ball and I don’t care how old you are, everyone loves a slip and slide! this is so cool, I think sometimes we get caught up on the same activities and these is a way to get out of the same summer rut. all of this looks mega fun! Scoop ball was my favorite as a kid! So much fun! Those are great idea! I am gonna visit my two nephews soon and I want spend active time with them! 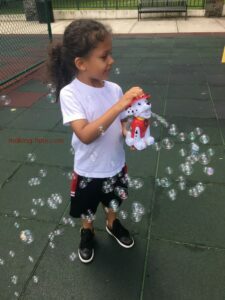 I really love that Paw Patrol Bubble Blower ! Banzai Spin Out looks like it would be lots of fun! I will have to add that to our summer bucket list. Those water slides look like so much fun. I kinda wish they were marketed more for grownups and less for kids. It is for sure going on our summer list of things we need to try! My grandkids would love the Bonzai Spin Out Water Slide. Ohhh I want the H2O Go to play with my boys. Looks perfect for us. I like the H2O Go! toy. That looks like a lot of fun! The wobbly worm game looks cool! I think the Kids Gear wireless headphones are my favorite, but I know my some would love so many of these this summer – especially the Banzai Spin Out Water Slide I think. My kids would like the Paw Patrol Action Bubble Blower. I like the Bonzai Spin Out Water Slide. I love the H2O Go. What a cute type of sprinkler for a game of fun. I love the wobbly worm! Our young ones want the Paw Patrol Bubble Blower. We live in an apartment and don’t have our own yard, so most of the outdoor toys wouldn’t do us much good. I like the headphones, though.